Recommendations: The Stranger by Albert Camus. To this day and forever the most important book ever written. / Nobody Knows, the 2004 film from Hirokazu Koreeda. 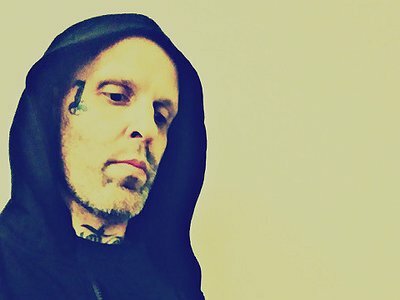 If there is any truer mirror to the tragedy of what it means to be human, I don't know what it is..
Website / Contact: If you enjoyed this interview with bvdub, visit his Facebook profile or bandcamp page for more music and updates. I was born seven weeks premature, and spent the first months of my life in an incubator with pneumonia and a collapsed lung. My parents said they set up a radio that played music pretty much day and night – and that I would only cry when it was turned off. So I guess that answers my relationship with music and sound. I wrote my first pieces of music when I was around twelve or thirteen, classical pieces for solo violin, trios, and quartets, before a few years later attempting to compose an entire symphony, admittedly unsuccessfully. I then made a weird industrial techno sounding thing around 1993 in a friend's studio before never really tackling it again until eleven or twelve years ago, when I began making music under what was formerly my DJ name throughout the entirety of the 90's and a tad beyond. I have never tried to emulate anybody. Without a doubt I was and am influenced subconsciously by the music I was raised on and those who came before me – everyone is – but there is a big difference between influence and emulation. One can be the building block for something new and beautiful, honoring those who paved the way while still stepping forward in the evolutionary process ... the other is just stepping backwards, if anywhere at all. I think my work has always been in my own voice, no matter its iteration in my journey. The first tracks I ever made comprised the first release I ever put out, and though they are obviously a bit rough, I don't think they sound like anyone else. I think as far as anyone's development, there's a definite line when you first start out, and are limited to to what your technical knowledge will allow. Anytime you make something, it never completely does what it needed to, because though you may have a lot to say in your head, your lack of musical vocabulary keeps you from translating it over. As you evolve as an artist and your vocabulary expands, there is an infinitely greater (and ever-increasing) sense of wholeness in knowing you were able to lay it all on the table. Inspiration begets learning, learning begets new ideas, and ideas beget creativity. Imitation is neither sincere nor flattery. One of my biggest problems in the beginning was railing everything through compressors and limiters, having no idea how that was actually damaging what I made. After my first few mistakes with that, I haven't touched a limiter or compression unit in at least ten years. Compositionally I wouldn't really say I ever had any challenges, in that I was always happy with what I made, and how I made it. Of course as time goes on my work changes and grows, but it's all part of the story. They're all snapshots of that particular place and time, and the manifestation of what I wanted to say, combined with my technical prowess at the time. I think as long as you're doing both to the utmost of your ability at any given time, it's always a success in its own right. Many years ago I saw someone on a message board describe my music as basically being designed to be listened to all the way through as one massive album. Although I never thought about it consciously until I saw that, he's likely not far off. Every book has different chapters – some long, some short, some concise, some complex. But they're all part of the same whole, and you can't have the sum without its parts. I don't know that music is any different. My first studio was super simple, comprised of nearly all borrowed pieces, then grew to pure insanity as I felt I needed everything under the sun. Before long, I began to realize I was doing things in an absurdly wasteful manner, barely scratching the surface of any one component. A good friend of mine then took a whole lot of time to teach me the beauty of actually knowing how to get the most out of what you have before considering whether or not you need more, much less a fraction of what you've already got. Much of the time you will find you do not. I've followed that path ever since. The most important pieces of gear have always been my head and heart. It's too bad I treat everything else with exponentially more love and care. Machines excel at working to the best of their potential. They are always the best machine they can be. Humans excel at the absolute opposite. In essence tools are just that. By definition they are merely something designed to carry out a specific function. They do what you tell them to do. I love the tools I use and wouldn't know how to work any other way. But that's where it ends. I think romanticizing them further can often be dangerous in that you end up holding the tools themselves in a higher regard than the work they accomplish, and the person who wielded them. This seems to be a growing trend these days, one that I will never understand. To each their own. I've always created in a very isolated state, from all my years abroad with zero musical surroundings, to the fact that I barely leave the house no matter where I am. Even when I'm around other artists, I prefer to talk about anything but music. I've done very few collaborations over time, and only under quite unique circumstances. For me, music is my way of getting things out I can't put into words, which is a very inward-focused phenomenon, and one that doesn't lend itself well to cooperation save on very rare occasions. That being said, I've never been much of a team player. I think the real collaboration comes between me and someone who listens, letting me into their lives, and bringing our lives together. Just by doing so – whether we actually ever speak or not – they are understanding and adding new meanings, truly making it live and grow, taking on a new life within the context of theirs. Ours is the true collaboration. My morning routine generally consists of regretting how late I stayed up the night before playing video games ... once I get over that I make sure I spend a good half hour or so with my cat (she can't sleep with me because she has health problems), work out, then see where the rest of the day takes me. I'm also a (Chinese-English) literary translator, another love wholly subject to the whims of inspiration and emotion, so I turn myself over to the fates and see what happens. Sometimes I'll translate for eight hours straight, sometimes I don't touch a word and work on music for twelve – or vice versa. Sometimes the day is split. Sometimes neither are gonna happen ... and I've been doing both long enough to know that forcing either only ends in disaster. There's a big difference between my mind wanting to create, and my heart having something to say. My head is always ready, but that doesn't mean the heart is always willing. If I don't already know ahead of time, I will within a few minutes of sitting down. If they are not aligned, I walk away. Sometimes for the day, sometimes for weeks or months. It's out of my control. But if you don't heed your heart's warnings, you just make sounds. Sounds are easy. Music is hard. For me, my musical life and the rest of my life are pretty much completely separate. I don't go out, don't talk about music to my friends, and no one even knows I make music unless someone else tells them. Some might think that seems strange when it's the most important part of my life ... but that's precisely why I keep it hidden. "Inspiration begets learning, learning begets new ideas, and ideas beget creativity. Imitation is neither sincere nor flattery."